Home / Product Catalog / Refrigerant Line Components / Sentry Refrigerant Locking Caps / Sentry™ Silver Universal Refrigerant Locking Cap 1/4"
Comply with the International Residential Code (IRC) and International Mechanical Code (IMC) codes requirement that all outdoor access ports on A/C and refrigerant equipment have to be tamper resistant. 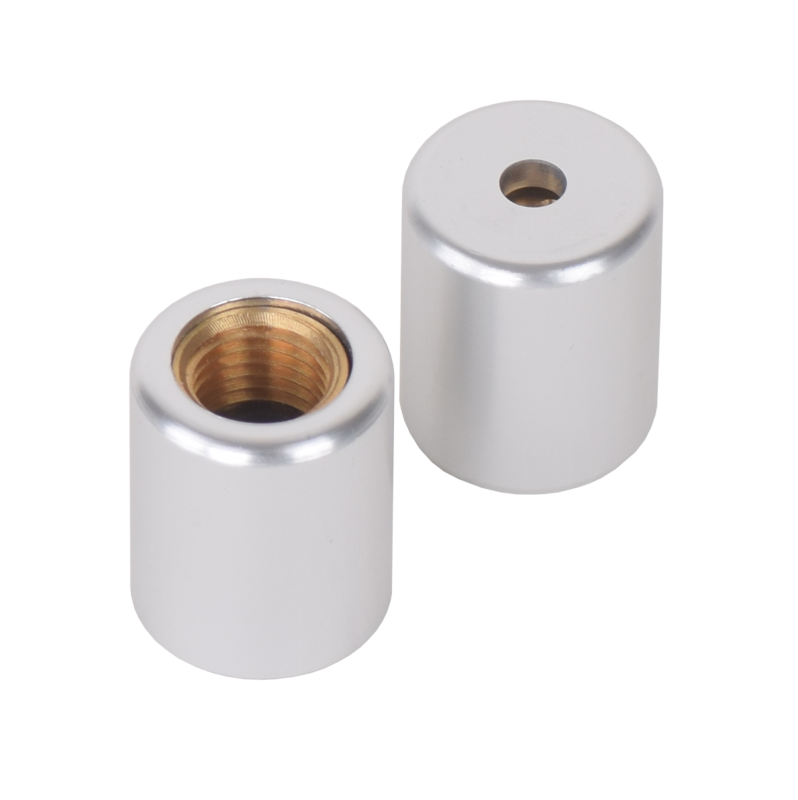 Refrigerant safety caps from DiversiTech are quick and easy to install. 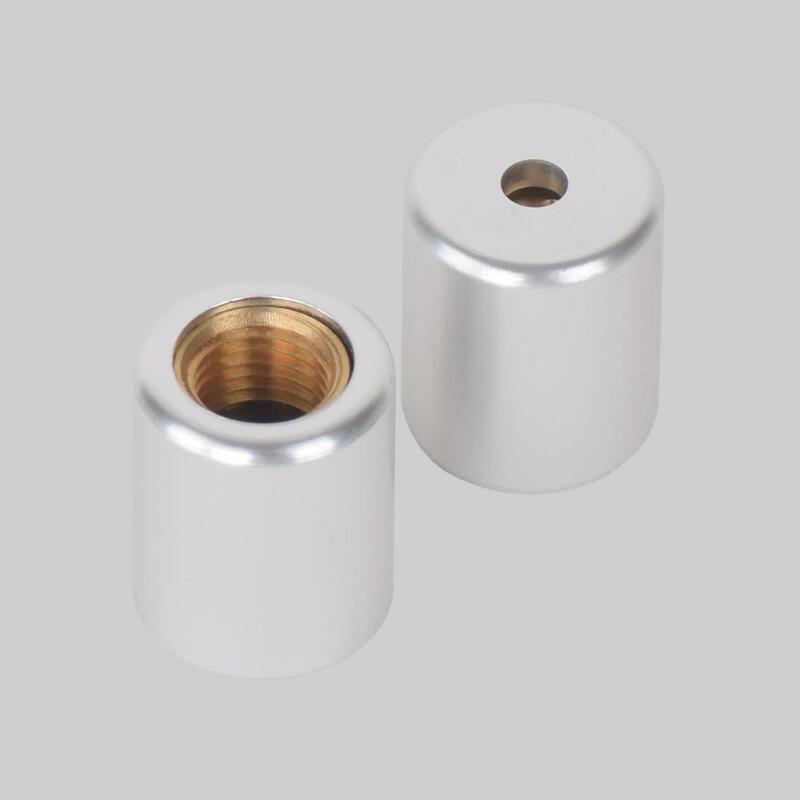 They attach directly to standard 1/4" refrigerant fittings. Tamper resistant cap deters refrigerant theft by limiting access to the system to someone with an access key only. The Sentry Universal Key fits all refrigerant locking cap from major manufacturers. No need to hunt around for the right tool on the jobsite to access the system! Available with selected cap packs or separately. Industry recognized color coded caps use red for R410A, green for R22, silver for universal, easy to identify and help to prevent accidental mixing of refrigerant gases. Refrigerant access valves are notorious for leaking. It's very easy for a valve to not seal properly. All good refrigerant caps include a seal. DiversiTech's refrigerant safety cap includes a pre-installed, universally compatible, elastomer o-ring to assure a positive seal with the refrigerant cap. RSC-SLV-04K Sentry™ Silver Universal Refrigerant Locking Cap 1/4"
RSC-RED-50K Sentry Locking Caps - Red for R410 Refrigerant 1/4"
RSC-RED-02-E Sentry Locking Caps - Red for R410 Refrigerant 5/16"
RSC-SLV-10 Sentry™ Silver Universal Refrigerant Locking Cap 1/4"
RSC-GRN-04K Sentry™ Green Refrigerant Locking Cap R-22, 1/4"
RSC-RED-50K-E Sentry Locking Caps - Red for R410 Refrigerant 5/16"
RSC-RED-04K Sentry Locking Caps - Red for R410 Refrigerant 1/4"
RSC-SLV-50K Sentry™ Silver Universal Refrigerant Locking Cap 1/4"
RSC-GRN-50K Sentry™ Green Refrigerant Locking Cap R-22, 1/4"